What happened to the Mauser that was found on site after the Kennedy assassination? Where was it found and who found it - and to whom was it registered? I'm just wondering what information we have on this, and why it isn't considered strong evidence of a conspiracy? 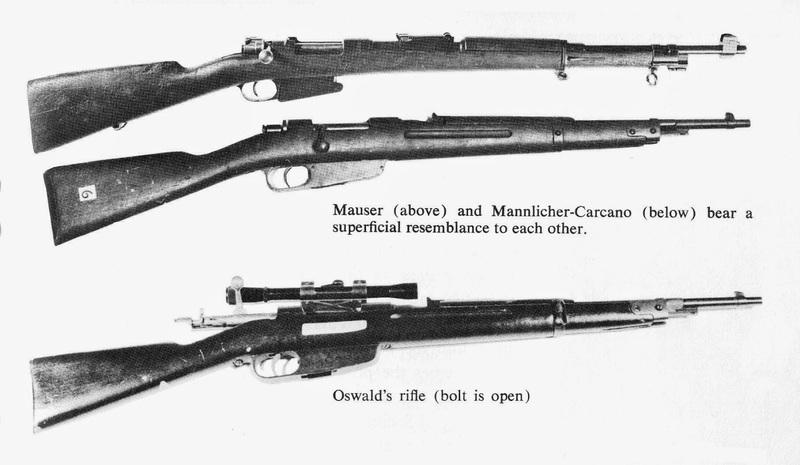 Re: What happened to the Mauser? It evaporated into nothing, as if it never existed. If one rejects the possibility of witness errors, one is always going to be perplexed. Some heard all the shots come from the behind the limousine. Some heard all the shots from ahead of the limousine. How did they modulate the sounds from shots from behind so that some witnesses could hear them but others can’t? How did they do the same with the shots from the front? How did they make certain no witness heard no shots while others heard all the shots? If one insists that the witnesses were not mistaken about the Mauser, then there are some hard to answer questions. ** How could the conspirators smuggle in the wrong type of rifle to plant? ** How did they smuggle out the Mauser without anyone seeing? The building was surrounded by reporters, film camera and photographers. ** How did they smuggle in the Carcano without being seen? ** How is it that all the photographs and film of the rifle show a Carcano, not a Mauser? With the right assumption, that witnesses can be mistaken about the type of rifle found, a Mauser does closely resemble a Carcano (turn of the century rifle designers did steal each other ideas) then these hard to answer questions disappear. There is film of a rifle WITHOUT A SCOPE being lowered from the roof and police officers and others standing around looking at it.There is film of this....there are so many threads that probably someone has posted this already. Perhaps a thread but remember, the forum went down and had to be rebuilt. Is that th way the police would have handled evidence? When oh when are people going to wake up and start using their God given brain?? one outside a very select circle, apparently, ever heard of this item before. description: "DETERMINED OF NO VALUE AND DESTROYED." Well, looks like we had a 7.65 bullet recovered but no Mauser.The letter describing the delivery to Baltimore of the need to have 2 agents pick up the gun that killed JFK AND "the bullet that struck Gov. Connally" creates a REAL problem for LNs. It was written by SAC Gordon Shanklin on 11-22-63 & the agents delivered it on 12/3/63. 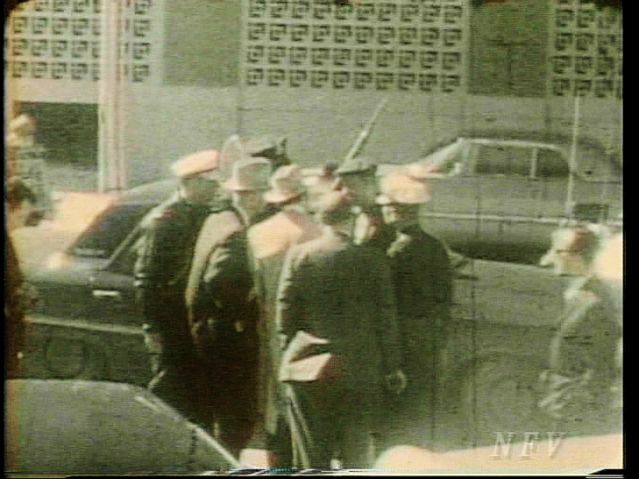 BTW, I posted the picture of the rifle w/o the scope....it is NOT the rifle that was held by the strap (Manlicher Carcano 6.5) found on the 6th floor of the TSBD.The empty envelope in the National Archives labeled 7.65 and recovered in Dealey Plaza is a problem as well. Well come to think of it there were 4 wounds in JFK and Connally, bullet hole in the windshield,hole in the chrome trim, hole in the curb (chiseled up & removed), 2 bullet holes in the the man hole cover, one in the grass etc. Mr. BALL. Are you with some company? Mr. CASTER. Yes; I am assistant manager for Southwestern Publishing Co. with offices at 411 Elm Street. Mr. BALL. You have offices in the Texas School Book Depository Building? Mr. BALL. You rent those offices from the Texas School Book Depository? Mr. CASTER. The offices are furnished in connection with our work with the Depository. Mr. BALL. Will you tell me something about yourself, where you were born and where you were raised and educated? Mr. CASTER. Yes; I was born in New Mexico, educated in New Mexico, received my college degrees at New Mexico Highlands University at Las Vegas, N. Mex. I taught school in New Mexico from 1939 until I started to work with Southwestern Publishing Co. in 1952. There was a period of about 2 years that I spent in the U.S. Navy. Mr. BALL. And have you had your offices since 1952 in the Texas School Book Depository Building? Mr. CASTER. The offices have been in the Texas School Book Depository Building, but not in this particular building here. We have occupied three places since I have been with the Southwestern Publishing Co.
Mr. BALL. Your office is on which floor? Mr. BALL. Did you ever bring any guns into the School Book Depository Building? Mr. CASTER. Yes; I did. Mr. CASTER. I believe it was on Wednesday, November 20, during the noon hour. Mr. CASTER. They were my guns. Mr. BALL. And what kind of guns were they? Mr. CASTER. One gun was a Remington, single-shot, .22 rifle, and the other was a .30-06 sporterized Mauser. Mr. BALL. Who owned them? Mr. CASTER. I had just purchased them during the noon hour that day. Mr. BALL. Well, tell us about it---what were the circumstances of the purchase? Mr. CASTER. Well, I left the Depository during the noon hour and had lunch and, while out for the lunch hour, I stopped by Sanger-Harris sporting goods department to look for a rifle for my son's birthday---I beg your pardon, Christmas present--son's Christmas present, and while I was there I purchased the single-shot .22--single shot--and at the same time was looking at some deer rifles. I had, oh, for several years been thinking about buying a deer rifle and they happened to have one that I liked and I purchased the .30-06 while I was there. Mr. BALL. And did they box them up? Mr. CASTER. They were in cartons; yes. Mr. BALL. And then you went back to work, I guess? Mr. CASTER. Yes; I picked both rifles up in cartons just like they were, this was during the noon hour, and as I entered the Texas School Book Depository Building on my way up to the buying office, I stopped by Mr. Truly's office, and while I was there we examined the two rifles that I had purchased. Mr. BALL. Did you take them out of the carton? Mr. BALL. Who was there besides you and Mr. Truly? 7.5 would be for a Lebel and not a Mauser. I guess you can rechamber the Mauser for 7.5mm Lebel, but who would want to? Everything was done either long beforehand or long afterward. The cops had what they were looking for.